Nov. 1, 2016 10:00 a.m.
Members of the emergency response team enter Abbotsford Senior Secondary following a double stabbing. Police have not yet been established a motive for a stabbing today at Abbotsford Senior Secondary that resulted in the death of one female student and injuries to another. Abbotsford Police Chief Bob Rich said during a press conference on Tuesday night that it appears the suspect was not a student at the school and “it is possible he has no connection” to the two girls, although the investigation is still in its early stages and those details could change. Rich said the suspect, whom he described as a “young man,” remains in custody and investigators are still trying to confirm his identity. Rich said he extends his “sincerest condolences” to the families of both victims, whose names and ages are not being released at this time. He said the surviving victim is in stable condition in hospital. “We are heartbroken for the family that has lost their daughter. Words can’t express. I’m so sorry,” he said. The Integrated Homicide Investigation Team (IHIT) has now taken over the investigation into both attacks. The incident took place at about 2 p.m. today, when police were notified of an assault in progress at the high school, located on Bevan Avenue. Police, fire and ambulance crews raced to the scene. Rich said that when they arrived, they found that school staff had subdued the suspect, and students and staff were administering first aid to the two victims. He said staff were to be credited for their rapid response. 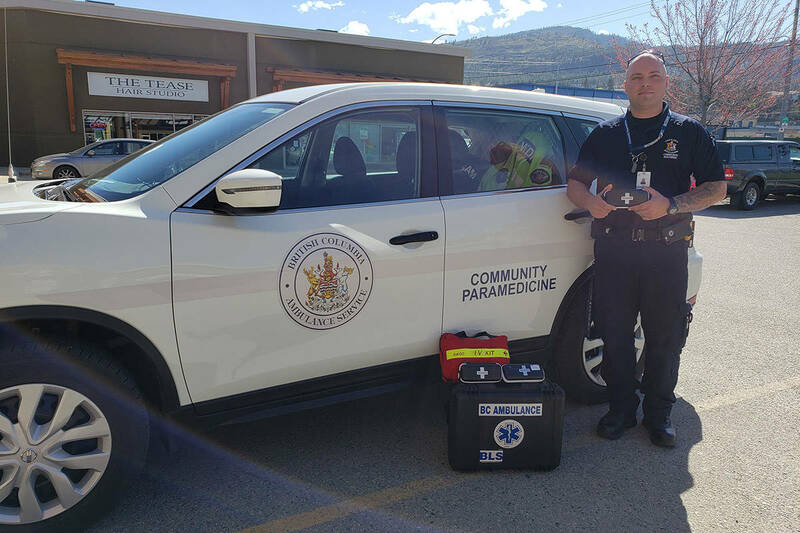 “I believe that staff were so proactive and quick that further tragedies probably were prevented because of their actions,” Rich said. He said the suspect was taken into custody about five minutes after the emergency call came in. Both girls were airlifted to hospital. Both Abbotsford Senior Secondary and the neighbouring Abbotsford Middle School were locked down for about two hours after the attacks to enable members of the emergency response team to search the schools for any possible other suspects or victims. None were found. Rich said Abbotsford Senior will be closed tomorrow (Wednesday) but counselling will be made available to students and staff. He also addressed the posting on social media of a six-second video that allegedly shows footage of one of the victims being attacked. “Out of respect for the family, we are asking that this video not be shared further and not be broadcast,” Rich said. Anyone with information about the stabbings is asked to contact the IHIT tip line at 1-877-551-4448 or Crime Stoppers at 1-800-222-8477. 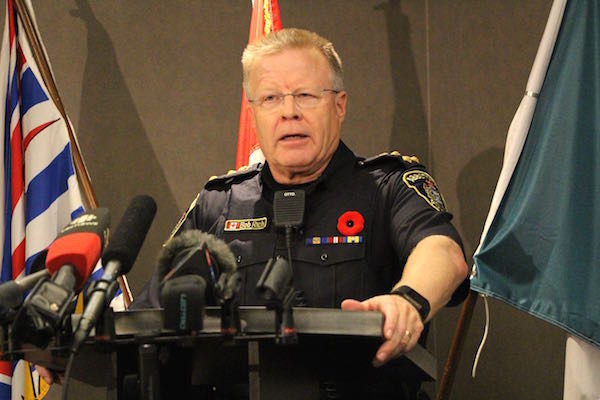 Photo below: Abbotsford Police Chief Bob Rich speaks at a press conference on Wednesday night at the Abbotsford Police Department.